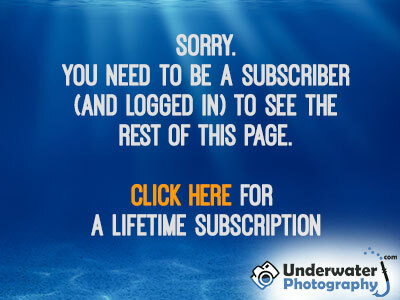 underwater Photo Course :: (3) Diving with a Camera :: Strategy :: Autofocus or manual? The majority of housingA casing or box with waterproof seals designed to contain a camera or other equipment in such a way that it can be used underwater. manufacturers have relegated manual focus to an accessory in favor of autofocusAutomatic selection of the correct focus. TTL focus systems which work through the lens are better for underwater video.